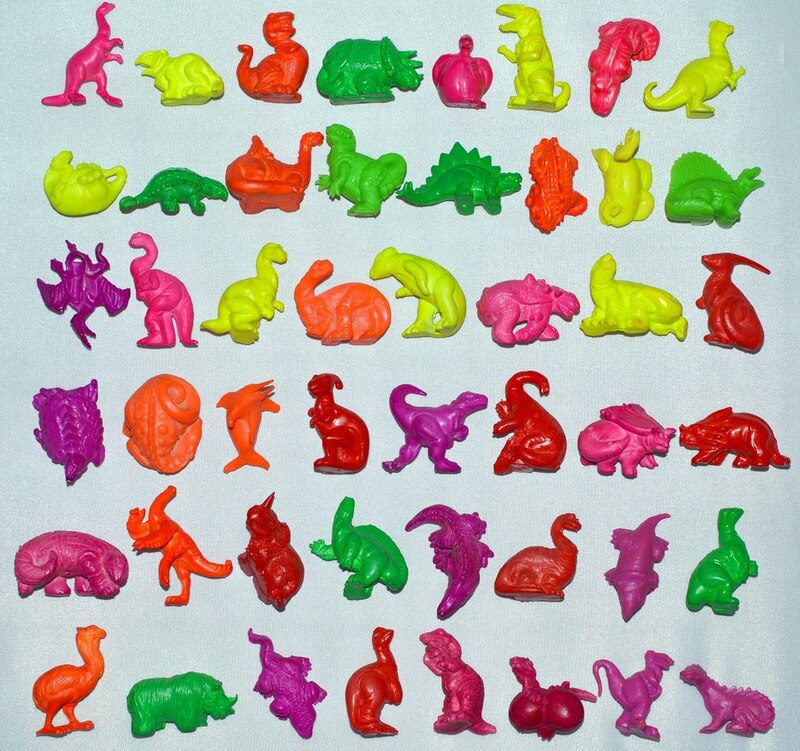 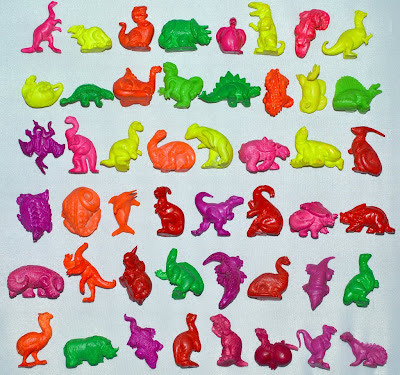 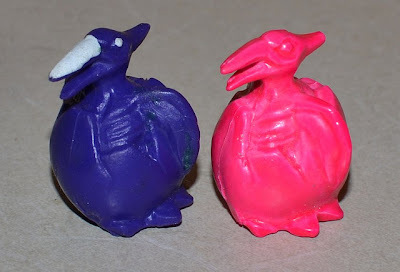 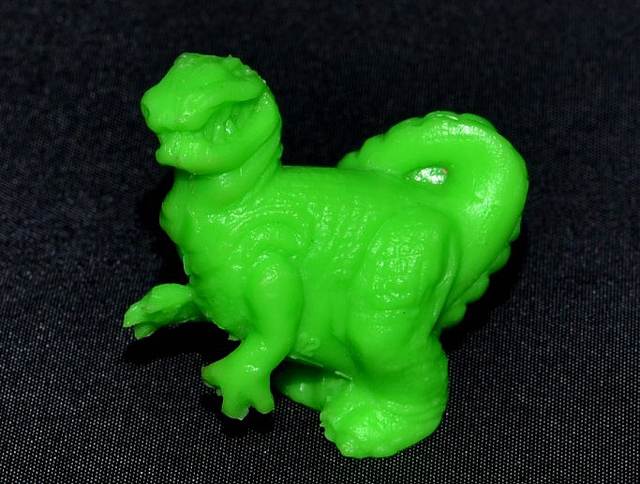 What: Collectible hard plastic dinosaurs. 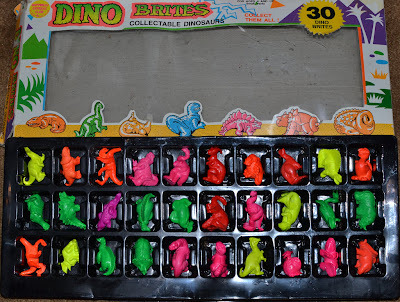 Dino Mites were produced first, featuring solid colors with minimal glow-in-the-dark painted details. 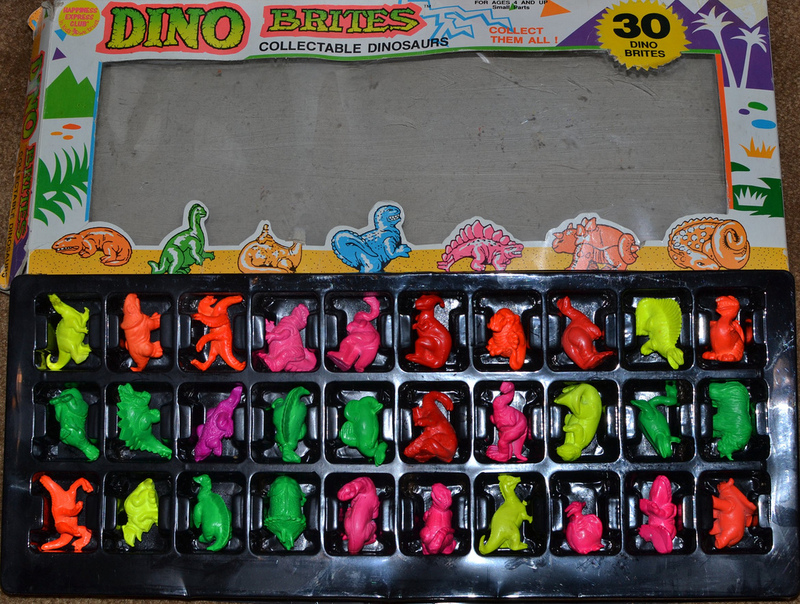 Dino Brites followed, using the same sculpts in solid neon colors.